Made from solid hardwood, simplicity in design, subtle accents and a grey and rustic brown two tone finish come together to create this finely crafted collection. Pine Hill Dining Room embodies tailored industrial design elements with a warm Rustic Pine finish on Pine solids and veneers with Aged Iron hardware, providing great versatility. 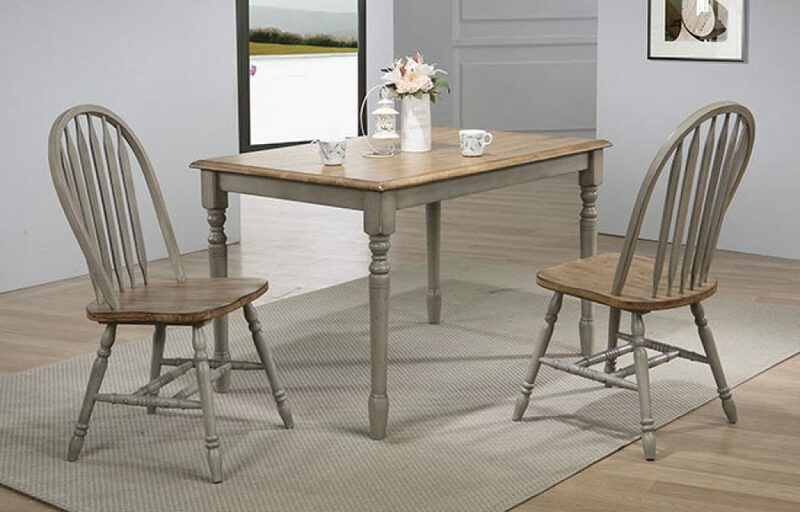 The Rustic style four leg extension dining table features two removable 16” leaves, allowing for lengths of 80” without the leaves, 96” with a single leaf installed and maximum extension of 112” with both.